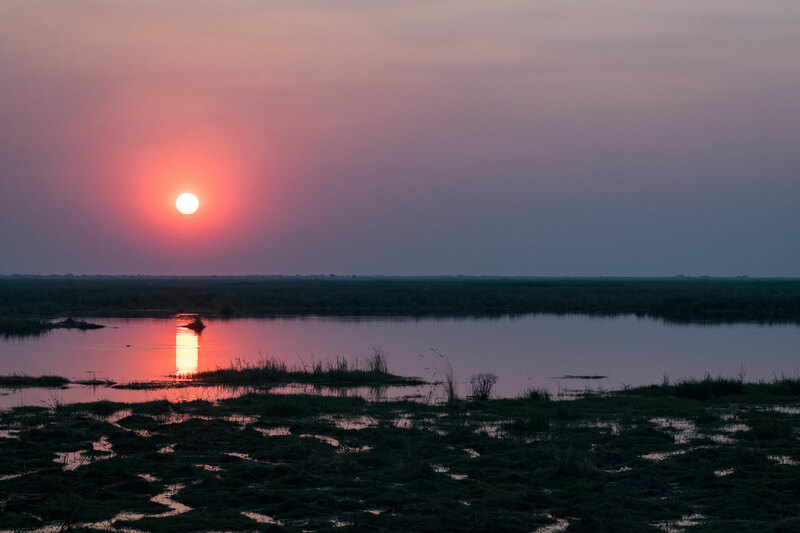 The Savuti Marsh is known as one of Africa's wildlife hotspots; landscape and ecology that supports a wide array of plant, bird and animal life. 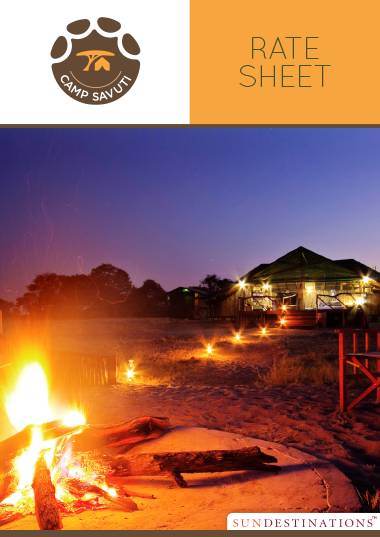 Camp Savuti is all about its prime positioning on the Savuti Channel. 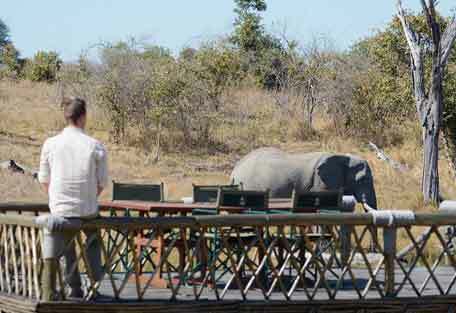 It is an unfenced camp and receives regular wildlife visitors, and offers a diverse landscape ideal for game viewing. If you're lucky you'll notice elephants browsing the trees in camp, and birds flitting between branches, creating a game-viewing paradise right in front of camp. 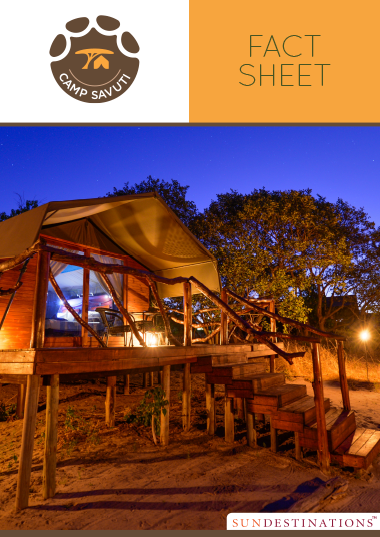 The experience at Camp Savuti can be described as camping in style. The tented suites are luxuriously adorned with carpeted floors, ample space, ensuite bathrooms and private verandas, but the wood, canvas and natural colours keep it in tune with the surroundings. Guests will feel relaxed and at ease with nothing but comfort and exclusivity in their Meru safari tents. 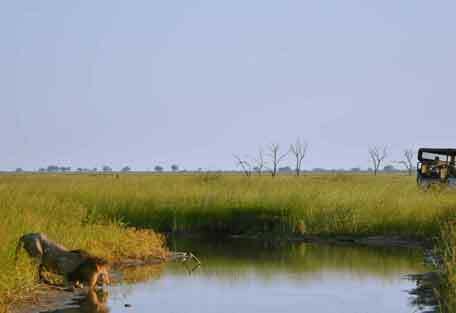 The Savuti landscape and ecology supports a wide array of plant, bird and animal life. During the rainy summer months is when the game flocks to the Savuti region. 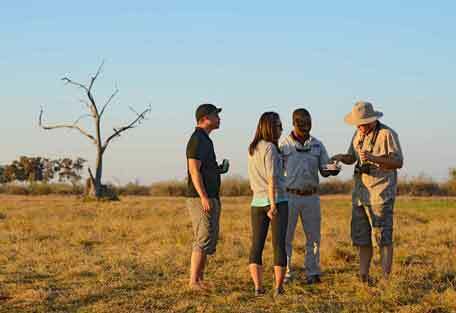 Mornings at Camp Savuti begin with an early wake up call and optional tea and coffee before heading out on game drive. During the winter months, the Savuti is very dry and and the game species tend to stick to the remaining water sources, making it easier to spot them. 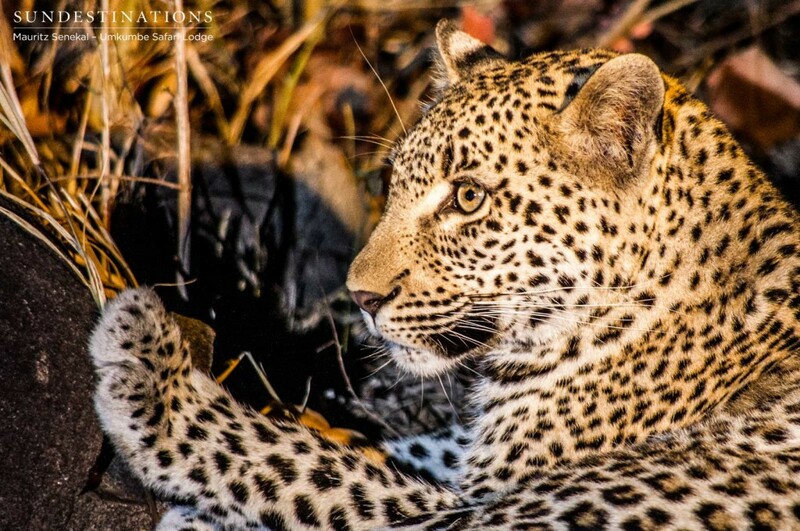 After the first game drive, guests will be served breakfast at the lodge and spend midday relaxing on the deck, in the lounge, at the bar or in their rooms. Guests eat lunch at the lodge overlooking the Savuti Channel and then embark on their second game drive in the late afternoon. 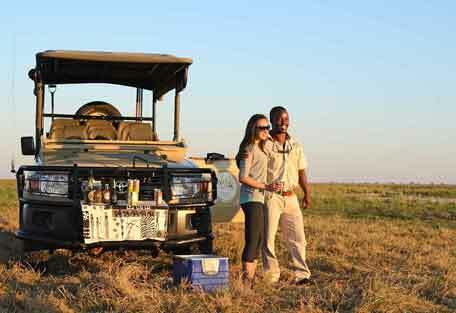 There will be a drinks stop during evening game drive when guests can enjoy a refreshment (pre-ordered and packed by the guide) and spend a quiet moment in the Savuti Marshland watching the sun go down. 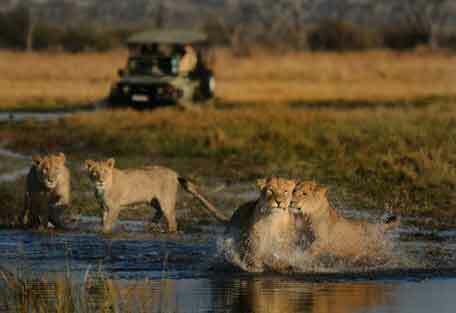 After game drive, dinner is served and then guests have to freedom to go to bed or head to the bar. The appeal of the Savuti is the lush land and the rich greenery of the rainy season that attracts a plethora of herbivorous animals. The best time to go is during November and December when herds of thousands of zebra migrate to the area to feed on the earth's new crop. 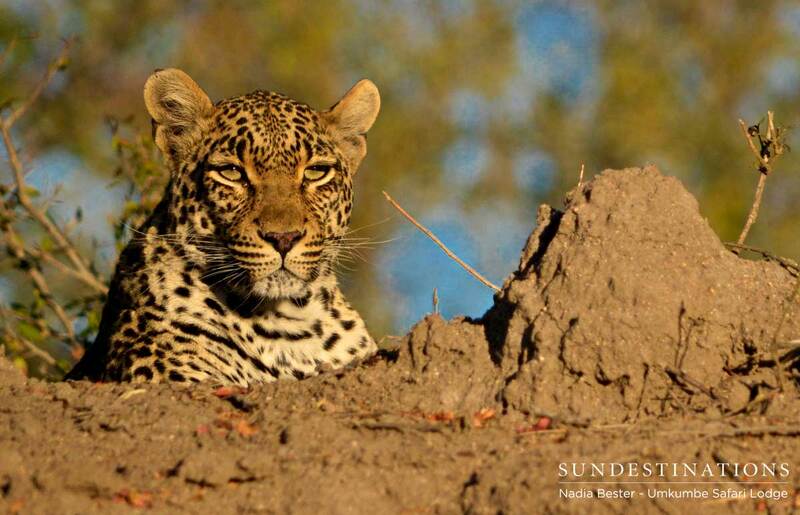 This is one of Africa's greatest migrations, and the predators follow in high numbers and giving the Savuti its game-viewing reputation. 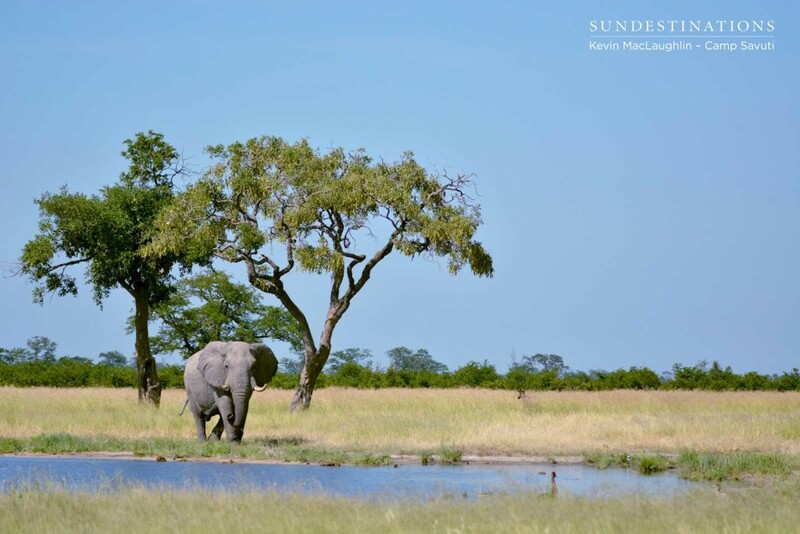 In the dry season before the rains, elephant, buffalo and other wildlife gather at the few remaining waterholes to keep hydrated, which also makes for superb wildlife moments. 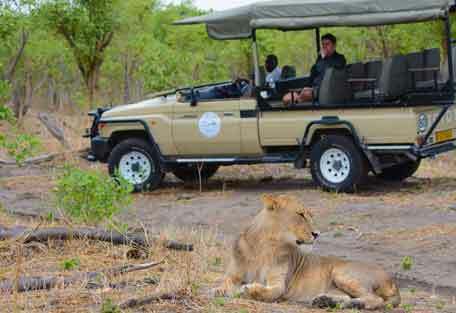 The temperatures can rise into the 40s (degrees Celsius) in September and October, but safaris are rewarding. 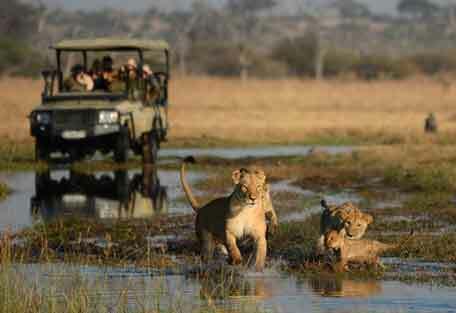 Seasons and climate will determine what sort of clothes one will need the most of, and the associated game-viewing conditions will determine what sort of camera equipment, wildlife reference books one might want to bring. 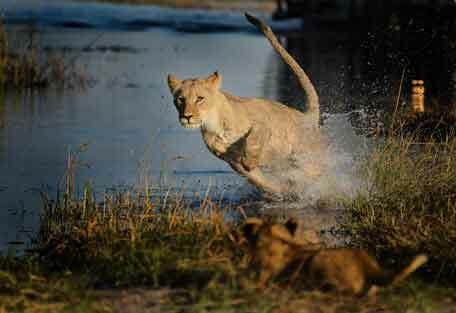 Botswana can get extremely hot, particularly in October just before the rains start. The African sun is scorching and we recommend bringing sun block and hats. Light, cool clothing is also necessary at this time of year, as is water-proof rain wear. 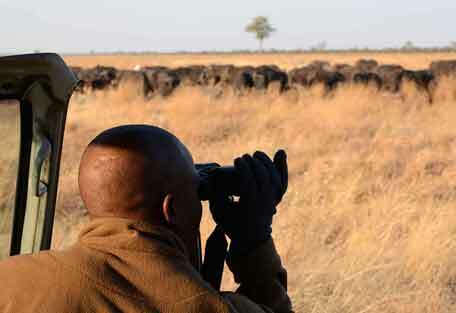 Binoculars are a good idea, as is a camera. This is a malarial area and mosiquitos are common in the hot, rainy months, so we recommend anti-malaria preparation. 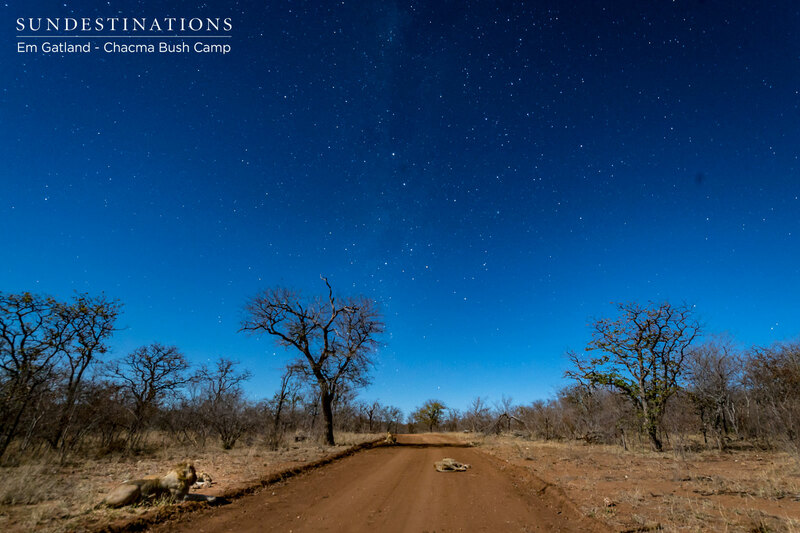 Guests at Camp Savuti can expect to feel absorbed in the African wilderness as they recline in their private safari tents and watch life in the bushveld unfold before them. 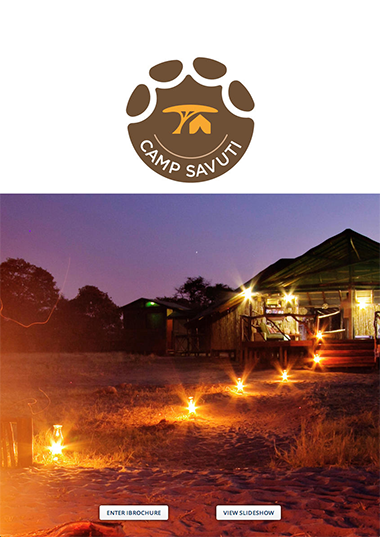 The ambience at Camp Savuti is magnificently tranquil with a maximum of 10 guests being accommodated at camp. There is a boma fire area set in the ground in front of the camp where guests can gather under the night sky and take it all in. The main area of the lodge is decorated with African-inspired style, wooden artefacts and luxurious sofas. 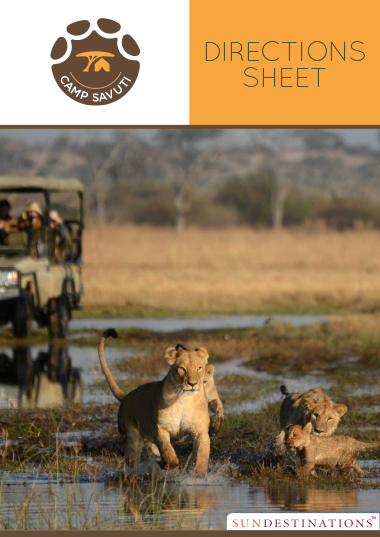 Camp Savuti is an unfenced camp, meaning that wildlife can pass through the area at any time, which adds a wild and exciting element to the camp. Newlyweds can expect to receive special treatment in the romantic honeymoon tent, while families with young children can be accommodated together by setting up a 3rd bed in one tent.